IDIOT- 1. an utterly foolish or senseless person. 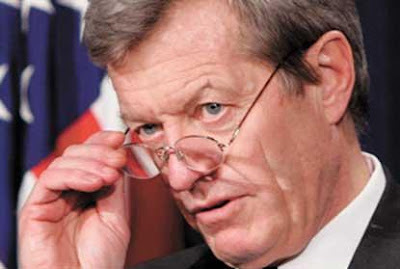 2. a fool, half-wit; imbecile; dolt, dun: Max Baucus, D, Admits Obamacare Raises Taxes on Middle Class. Healthcare Bill Cost Taxpayers $2970 in Just 60 Seconds Just by Being Signed ..
Max Baucus, D, Admits Obamacare Raises Taxes on Middle Class. Healthcare Bill Cost Taxpayers $2970 in Just 60 Seconds Just by Being Signed ..
Sen. Max Baucus, D-Mont., has admitted that some Americans making less than $200,000 per year will face tax hikes under Obamacare. Such tax hikes are a violation of President Obama's "firm pledge" not to raise "any form" of taxes on those making less than $250,000 per year. During remarks tonight on the Senate floor, Baucus said: "One other point that I think it's very important to make is that it is true that in certain cases, the taxes will go up for some Americans who might be making less than $200,000." As Americans for Tax Reform has pointed out repeatedly, the healthcare bill signed into law today contains seven tax hikes that unquestionably violate Obama’s middle class tax pledge. In the 60 seconds it took the President to sign the massive government takeover of healthcare into law, it has already cost taxpayers $2970. The 20 pens (update: we just found out he used 22, two extra for archives), the President used are custom made from Cross, a Rhode Island based company. Specifically, Mr. Obama used a "Townsend Tango - Black Lacquer/Engraved Rhodium Plated Selectip Rolling Ball Pen" - but his were made custom bearing his signature. Retailing at $135 a piece, these Presidential memorabilia are really symbols of self-indulgence and further examples of excessive government waste. lying scumbag. 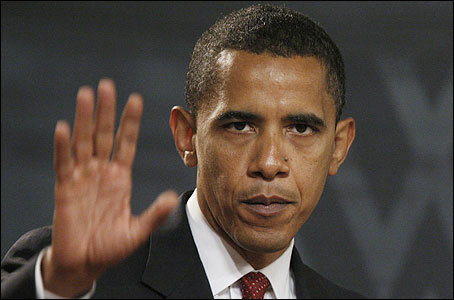 he needs to be impeached. how many more lies will these dem voters tolerate. don't they feel stupid?